Manama: Bahrain is set to nominate a Christian woman as its ambassador in a European capital, diplomats told Gulf News. Alice Samaan, a former Member of Parliament, will be the first Christian ambassador to represent the overwhelmingly Muslim country. 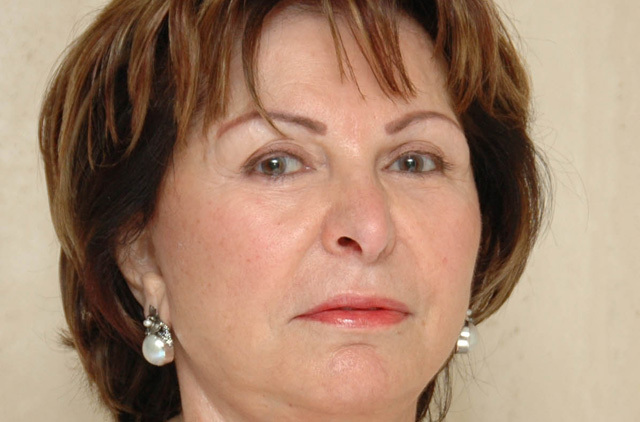 She will also be the second woman from a minority group to be appointed ambassador after Huda Nonoo, also a former Member of Parliament, became in 2008 the first Arab Jewish ambassador in Washington. Alice was one of the first six women who sat in 2002-2006 in the Shura (upper chamber of the bicameral parliament). She was also a Shura member in the 2006 – 2010 legislative term. In April 2005, she made history by becoming the first woman and the first Christian to chair a legislative council session in the Arab world. Alice worked as teacher at the American Mission School, today known as Al Raja School, and at the health ministry in charge of overseas training. She was also an international programme officer at the United Nations Children's Fund (Unicef) for Bahrain and Oman. Alice will be Bahrain's fourth woman ambassador after Shaikha Haya Al Khalifa who was appointed to France, Bibi Al Alawi, the country's top diplomat in China, and Huda Nonoo who was appointed to the US. All three were nominated by King Hamad Bin Eisa Al Khalifa who came to power in 1999 following the death of his father. Most Christian families arrived in Bahrain late in the 19th century, mainly from Iraq and Turkey. They were followed in the 1940s by more Arab Christian mostly from Syria, Lebanon, Egypt, Palestine and Jordan who came to work as teachers, doctors and businessmen. According to the Christian community, Bahraini Christians constitute around 1% of the total population, but the number of Christians from other nationalities, living and working in Bahrain, is over 100,000. Bahrain has 19 registered churches. The first Christian church was built in 1905 by the American missionaries soon after their arrival. About 40 Jews live in Bahrain where there is one synagogue and a special cemetery for the Jewish community.